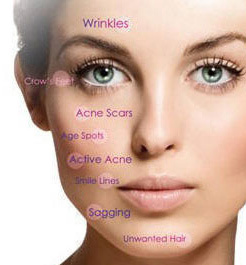 I offer a wide variety of anti ageing and skin rejuvenation treatments. I will recommend a treatment program designed for your skin type, problem areas, lifestyle, and desired improvements. Whether you have sensitive or resilient skin, Caucasian, tanned, or ethnic color I have a treatment for you. Check out the following links and then call for your FREE skin assessment.